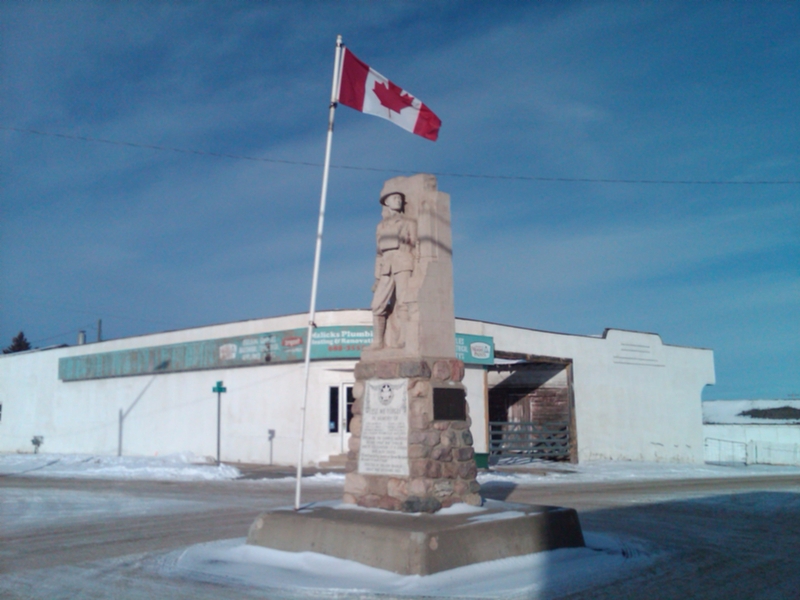 The Holden Cenotaph with the Globe Lumber Company Building. Both resources were evaluated for the Municipal Heritage Inventory project completed in 2011. The Village of Holden, located an hour southeast of Edmonton on Highway 14 with a population of 400, is developing a Municipal Heritage Management Plan. In 2011 the Village completed a combined Municipal Heritage Survey and Inventory but decided that before proceeding with the designation of Municipal Historic Resources it would be best to have a “recipe” for establishing a successful local heritage conservation program. an assessment of other municipal planning documents to see how heritage might be integrated with land-use and Village programs and services. Over the course of this project, the greater community will also be engaged. Feedback from residents will be imperative for ensuring that the Heritage Management Plan appropriately serves the interests of residents and thereby conserves the valued places that make Holden a unique community. Stay tuned throughout the year for updates on this project! During the latter part of the 19th century, the foothills of what is now southern Alberta were given over largely as grazing leases to several big ranching companies, many of them with close ties to the Conservative Party. With the election of the Liberal party in 1896 however, more emphasis came to be placed on settling the West with small, independent farmers. Under Interior Minister Clifford Sifton therefore, many grazing leases, when expired, were not renewed, in order that the land could be subdivided into quarter-sections for homesteading, or given over to the CPR Land Department. Among the many homesteaders to flock into the region during the turn of the 20th century were Nellie and Alexander Weir who, in July 1900, filed for SE18 TP18 R3 W5, on the east bank of the Highwood River, some 20 km northwest of High River. This was on land previously occupied by the North-West Ranch Company. The Weirs were from Ontario, and, like many of the new settlers, they combined dryland farming with cattle raising. In May 1905, Alexander Weir received title to his land, and, in February 1906, the High River Times reported that he was erecting a new 26’ x 26’ log home on his ranch. The Weirs never owned more than one single quarter-section of land, and, with grain prices declining during the early 1900’s, they probably found it difficult to make ends meet. At the time, their property was surrounded by a large ranch owned by George Lane, which consisted of several sections. At any rate, as soon as Weir gained title to his quarter, he mortgaged it to the Fairchild Company of Winnipeg. Two years later, the Fairchild Company became owners of the land, while Weir apparently drifted off to some other form of employment. Shortly thereafter, the western portion of the quarter-section was sold to an Italian immigrant named George Pocaterra, who turned it into a dude ranch called the Buffalo Head Ranch. The eastern portion, which held Weir’s house, was acquired by an English immigrant named Owen Royal, who seems to have had business interests in Calgary. It was Royal who upgraded the house, adding three bedrooms, a kitchen and a porch, while landscaping the yard and planting trees. Royal named it Alequiers, a name derived from the spelling of Alex McQueen Weir. In 1939, the Alequiers property was acquired by an artist named Ted Schintz. Schintz had migrated to western Canada from Holland in the 1920’s, taking odd jobs and cultivating his skills as a painter. In 1928, he stayed at the Buffalo Head Ranch and developed an affinity for the foothills environment. In 1931, he married Jeanette Kay from England, and the couple stayed for a while at Algequiers before traveling to Europe. While the couple took odd jobs, Ted enrolled in the Academy of Arts in Munich, studying under Angelo Yank. Upon his graduation, the Schintzes returned to western Canada, and, soon, Ted began to sell his paintings at reasonably high prices, mostly to magazines like Country Guide and Cattleman, which were interested in images of the prairie West. Jeanette was also able to sell some of her work. Finally, in 1939, the couple had sufficient means to purchase Alequiers, where they lived until retiring to High River in the 1960’s. The Alequiers Ranch House was designated a Provincial Historic Resource in 2005. Its historical significance lies in its provision of structural evidence of the homesteading experience on the southern foothills of Alberta after the break-up of many of the large ranches that had dominated the area. The expanded house of about 1920 is also important as the showpiece home of Owen Royal and, more importantly, the artist Ted Schintz, many of whose works have graced magazine covers with images of the southwestern plains of Canada, and several of which are stored in the Glenbow Museum. 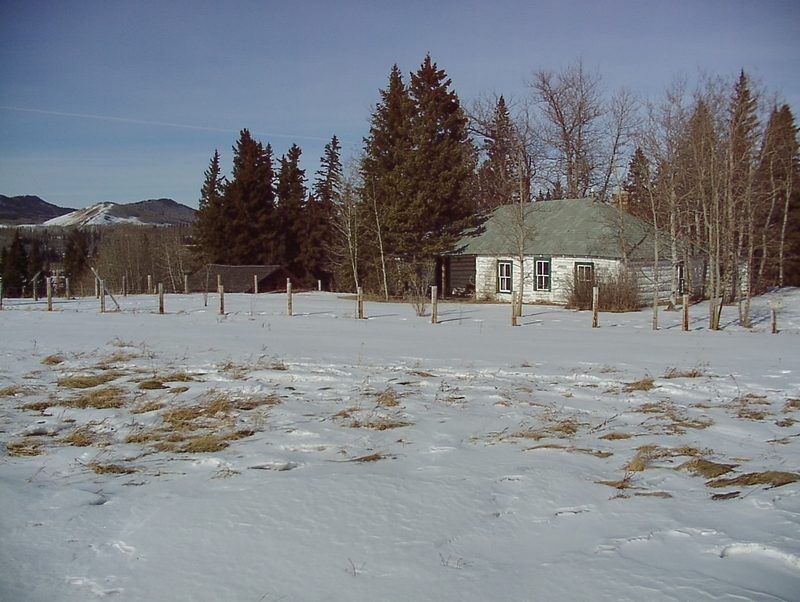 Visit the Alberta Register of Historic Places to learn more about the heritage value of the Alequiers Ranch House. In order for a site to be designated a Provincial Historic Resource, it must possess province-wide significance. To properly assess the historic importance of a resource, a historian crafts a context document that situates a resource within its time and place and compares it to similar resources in other parts of the province. This allows staff to determine the importance of a resource to a particular theme, time, and place. Above, is some of the historical information used in the evaluation of the Alequiers Ranch House. For all of you looking forward to learning something new about the wonderful and exciting world of geographical names, you may be disappointed by this post. Today you get to learn about me. Taking the cue from two of my colleagues (Carlo Laforge and Michael Thome), who have introduced themselves in their own introductory posts; I have elected (been pressured) to do the same. My name is Ronald Kelland, but most people call me Ron (actually, my family calls me Ronnie, but please don’t do that). 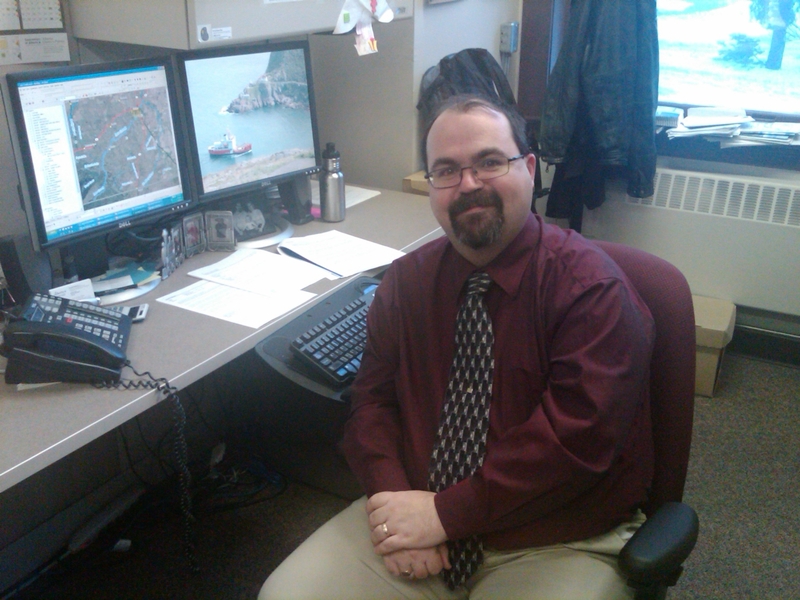 I started working for the Government of Alberta on December 1, 2007 as an intern with Athabasca University’s Heritage Resources Management Program. While taking online classes with the university, I did research and some administrative tasks for the Historic Places Designation Program. This mainly consisted of researching the history of buildings and other cultural sites for designation as Provincial Historic Resources. Most of my duties consisted of writing Statements of Significance for these resources to explain why they are valued. Of the ones I have written, my favourite ones are the Canadian National Railways Locomotive 6060, the Northern Defence Radar Station near Cold Lake, and the Sunnyslope Sandstone Shelter (say that five time real fast!) near Three Hills. In July 2009, I left the intern program and became a proud member of the public service. It was at this time that I also became the Coordinator of the Geographical Names Program. In this position I research the origin and meaning of Alberta’s place names and I evaluate proposed new names for geographical features and advise the Alberta Historical Resources Foundation in their deliberations and decision-making on these names. I also maintain the Alberta Geographical Names Database and other records about Alberta’s naming heritage. In December 2010, I assumed the role of primary historian for the Rutherford House Historic Site and Museum, researching the history of the house and the Rutherford family and using this information to aid in developing interpretive displays. Prior to my current job, I worked for the Alberta Legislature Library. I was a researcher and writer for the book The Mantle of Leadership: Premiers of the North-West Territories and Alberta, 1897-2005, part of The Centennial Series (a four-volume set of books published by the Legislative Assembly of Alberta). Once that project wrapped-up, I worked as a researcher and report writer for the Committees of the Legislative Assembly, primarily the Public Accounts Committee and the Standing Committee on Government Services. I was born in St. John’s and I still feel a strong connection to Newfoundland. I was raised in Alberta (primarily Red Deer) and have a great appreciation of the heritage and history of this province. I have been able to use my connection to both Newfoundland and Alberta to great advantage, successfully completing a Bachelor of Arts degree in History at the University of Calgary in 1998 (for which I concentrated on Western Canadian history) and a Master of Arts degree in History at Memorial University of Newfoundland in 2001 (for which I concentrated on Newfoundland’s history). Apparently one graduate degree was not enough to satisfy me, so I entered the Master of Library and Information Studies program at the University of Alberta, which I completed in 2010. In my personal life I am married to an incredibly patient and understanding woman (I think that one has to be patient and understanding to be married to a historian – we do tend to go on about our work and research). We have three great kids (a five year old boy and three year old twin girls), making us a very happy, but very busy family. In my spare time I like to read (voraciously), cook (reasonably well), sing (badly) and play computer games (probably too much). I also build model cars and planes and am about to embark on a model railroading project in my garage (if it ever warms up again). Back at my job, my priorities over the next year are to begin travelling the province more and meeting with local history groups and societies, spreading (and hopefully receiving) information about Alberta’s place names. I am also working on making the Alberta Geographical Names Database publicly available through the internet. I welcome any inquiries about our province’s place names. So, if you ever wanted to know why we call that lake, creek, mountain or whatever by such-and-such a name, or if you are interested in proposing a name for a geographical feature, please feel free to get in touch with me or drop a comment into our blog. I hope that I will hear from many of you over the upcoming months. As you may recall, changes to the funding policies of the Alberta Historical Resources Foundation’s Heritage Preservation Partnership Program will be adopted beginning the next application deadline, February 1, 2012. These changes, along with updated and improved application forms for all grant categories, are now available. Click here. significant changes on funding parameters for the Roger Soderstrom and Heritage Trades Scholarships. If you need further information, please call 780-431-2305. Written by: Carina Naranjilla, Grants Program Coordinator. The Municipal Heritage Partnership Program (MHPP) provides cost-shared funding opportunities to Alberta municipalities for the identification, evaluation and management of local historic places. Municipal Heritage Services staff are also available to provide guidance and training to Alberta municipalities to enable successful identification and conservation of local historic places. Funding proposals from municipalities are accepted on an on-going basis. These proposals are then reviewed by the board of the Alberta Historical Resources Foundation. If you would like to learn more about MHPP funding opportunities, or discuss project ideas please contact MHPP staff. The Alberta Historical Resources Foundation also supports a range of community and individual heritage initiatives through the Heritage Preservation Partnership Program. Brrrrr… Oh, wait! It isn’t that cold! Sitting at my desk enjoying the sun streaming in through the window, I can’t help but wonder what Eda Owen would think about the unseasonably warm winter we are experiencing. Who is Eda Owen, you ask? Working out of the Owen Residence / Dominion Meteorological Station in Edmonton, Owen was a pioneering meteorologist serving from 1915 to 1943. She was one of only a small number of female meteorologists working at weather stations throughout the world. In 1908, Eda and Herbert William Owen emigrated from London to Edmonton. After a number of temporary employments in his new home, Herbert accepted a position as an assistant in the Dominion government’s Meteorological Office. 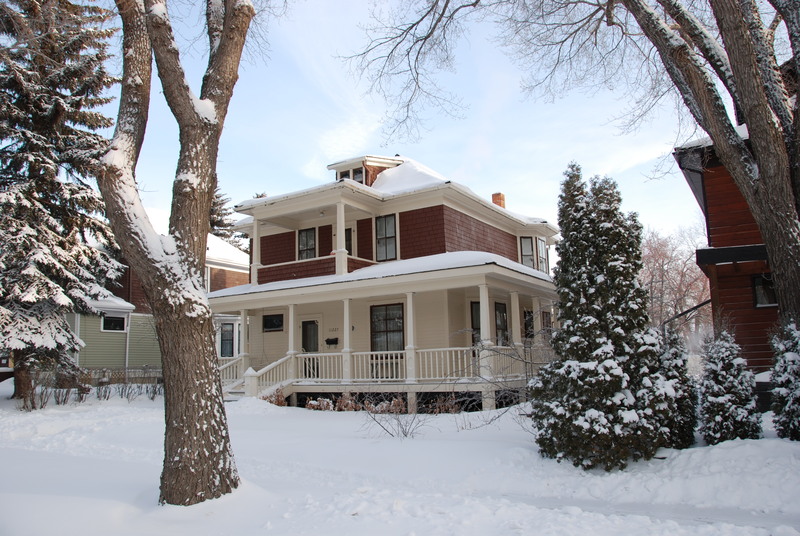 In 1913, the weather office was moved into the Owen residence in the Highlands neighbourhood. Wartime exigencies prompted both Owen and his supervisor, Captain S. M. Holmden, to enlist in 1915 for active service overseas. In their absence, Eda Owen, who had learned the arts of reading navigational charts and employing scientific instruments from her husband, took over meteorological duties at the Highlands station. Herbert never returned home, dying in a prisoner of war camp in Europe. Though overcome by grief, Eda continued her work at the station. In 1921, following a brief spell as an assistant meteorologist, she was formally named Provincial Agent and Weather Observer for Alberta by the federal Department of Marine and Fisheries. Her work was incredibly demanding. The Highlands station was arguably the most significant meteorological post outside of Toronto. Eda was required to take hourly readings from 36 different instruments throughout the day and compile reports from over 140 stations in the region. The information she amassed had wide currency, being circulated to forest rangers, aviators, agriculturalists, as well as radio and newspaper personnel. For most of her service from 1915 until she resigned her post in 1943, Eda was the only woman employed as an observer at a major Canadian meteorological station. Indeed, she was one of only a handful of woman meteorologists at major stations in the world at the time. As a result of her trailblazing work, she garnered international acclaim. MacLeans, the Toronto Star Weekly, and the Christian Science Monitor all featured Eda in their pages, hailing the “Weather Woman of the West” as a pioneer in a scientific field largely dominated by men. What would Owen think of our warm winter? We will never know, but I would like to think that between readings from the 36 meteorological instruments she would have found time to enjoy the warm spring-like conditions. To read the complete Statement of Significance, please click here. Earlier this week we launched a Twitter feed for Alberta’s Historic Places. Check it out by clicking here. Enter your email address to receive notifications of new blog posts.